A heart-warming story about family, love and triumph in the face of adversity. Little Hattie Peck loved eggs! Big ones, small ones, speckled ones. All she wanted was an egg of her own. One day, Hattie left her cosy coop on an adventure to find all the abandoned eggs of the world. And find them she did! But what will happen when they hatch? Hattie Peck can be used to help children and adults to talk about the importance of family, including adoption and fostering. 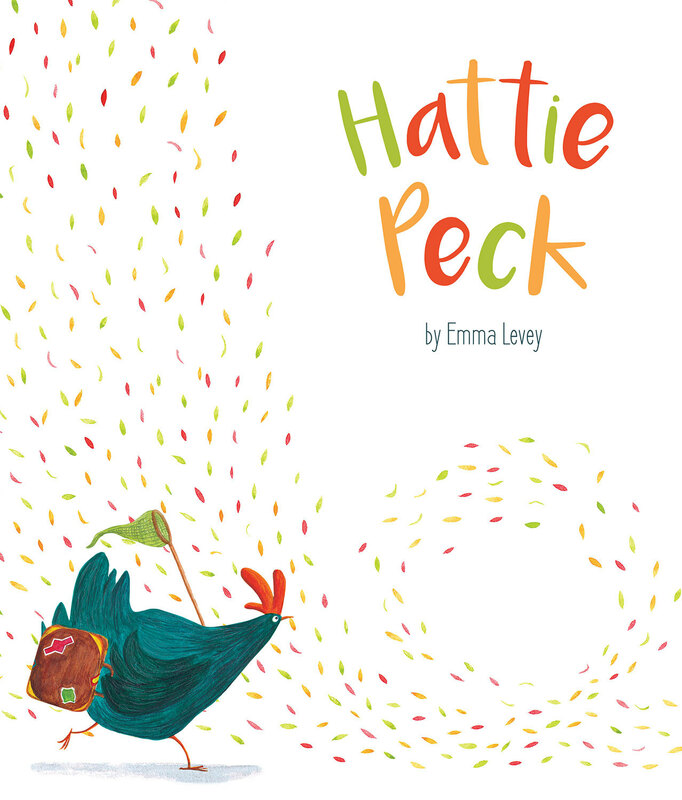 Emma's artwork for Hattie Peck reached the finals of the prestigious AOi Awards. Like Hattie and her collection of eggs, Emma Levey has an enviable collection of talents, working in everything from print, to gouache, to photography and 3D. Emma is based in a teeny, tiny village called Llancarfan in the South of Wales and her surroundings inspire her over-active imagination. Emma has a ridiculous obsession with her cat Gimli, who pops up from time to time in her work!